YAHAD’s 5th School of Leaders seminar opened this Sunday, gathering representatives from 50 cities across the FSU, including Belarus, Georgia, Azerbaijan and the Baltic states. 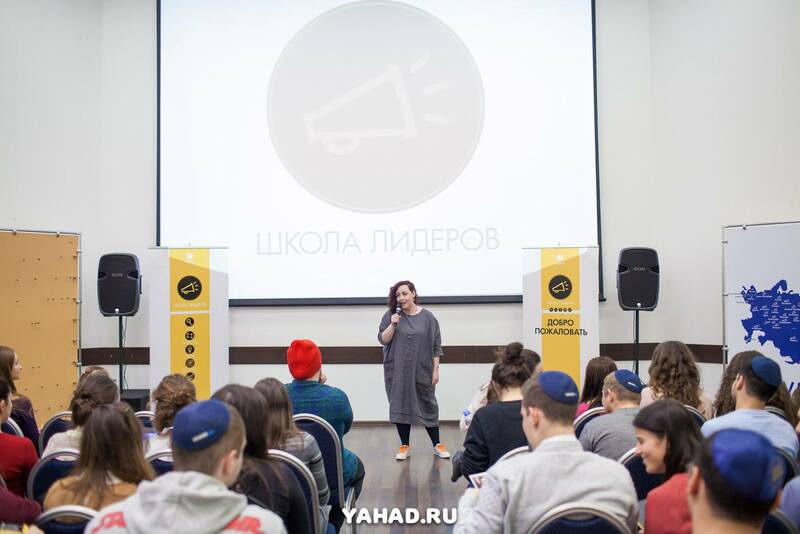 Almost 100 young Jewish adults, aged 18 to 30, came together in Moscow to learn informal education skills from the leading regional professionals. YAHAD is FJC’s young adults’ programming platform, whose programs include EuroStars, Zoom and Magid projects, among others. Its School of Leaders project aims to prepare local leaders for the region’s many Jewish communities, educating them the various facets of the role, from education and outreach to logistics, management, and successful initiative implementation. “The School of Leaders helps ensure the continuity of Jewish life in the regions and knowledge transfer. On a personal level, it allows each individual participant to discover his or her real potential, experiment and develop their strong sides. It’s a wonderful feeling being part of this process,” said Miriam Mayorova, the project’s director in an interview prior to seminar launch. In order to complete the leadership course, participants need to attend four week-long seminars that take place every half a year or so. Last March, the project saw its first graduates – ten new leaders, who completed all of the requirements. “What we learned in the School of Leaders is priceless. It’s an incredible charge of energy and knowledge, team leading skills and emotional intelligence,” said Ester Cheban, last year’s graduate from Krasnoyarsk. “In the School of Leaders, I met with some of the best informal education professionals, people with deep and wise approaches to life. The seminar gives to a push to continue growing personally and professionally. And, of course, friends – now I have friends all over the FSU, whom I can visit,” said another graduate, Basya Boyarkina from Samara.